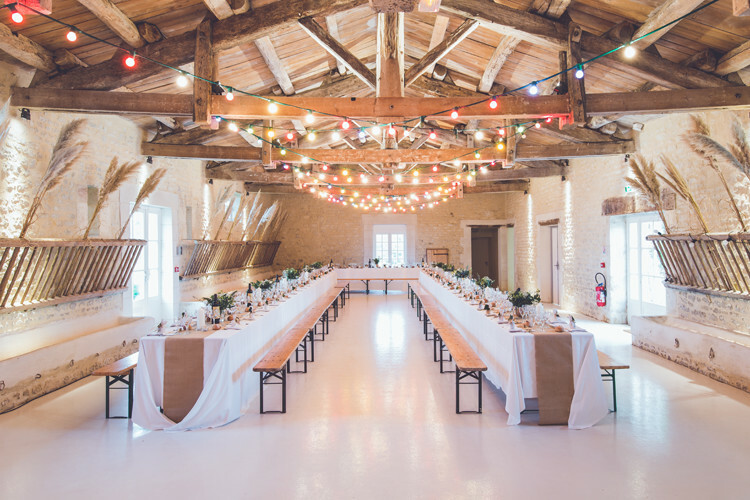 I’ve noticed that over the past couple of years that weddings have really given brides and grooms incredible ways to express their personalities. There are so many intriguing themes that people come up with. As you search for ideas for your day, challenge yourself to use pinterest and real wedding pictures as inspiration. Don’t stress about duplicating what you see. Your wedding is uniquely yours and your fiance’s — not anyone else’s. This is a fun time to create an environment that you only experience once. 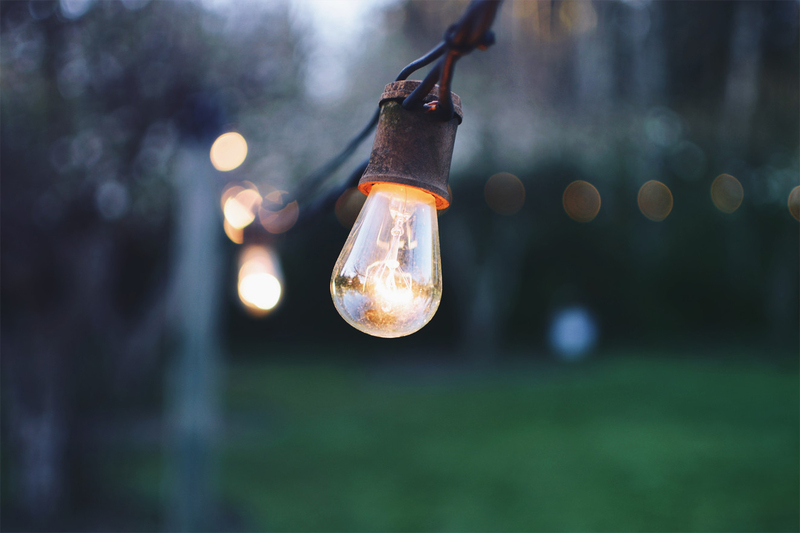 Use inspiration sites as a tool to get your imagination going and to see new ideas that you haven’t see before. 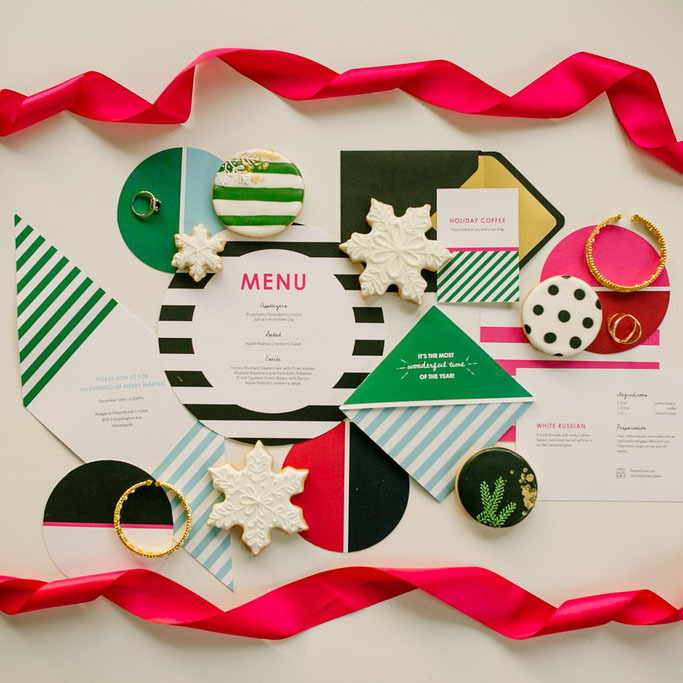 Take the general idea and incorporate it into the theme and personality of your wedding. When you find pictures that hit you, think of practical ways you can apply the concept. A couple years ago, when I was gathering ideas for our wedding, I pinned many pictures of reception dessert tables. Most of the desserts were set upon pieces of antique furniture with the desserts placed vertically on stands of various heights. Sprawled around the stands were flowers in old vintage vases, lace, and candles. I loved the idea of adding dimension and interest to the table with height. 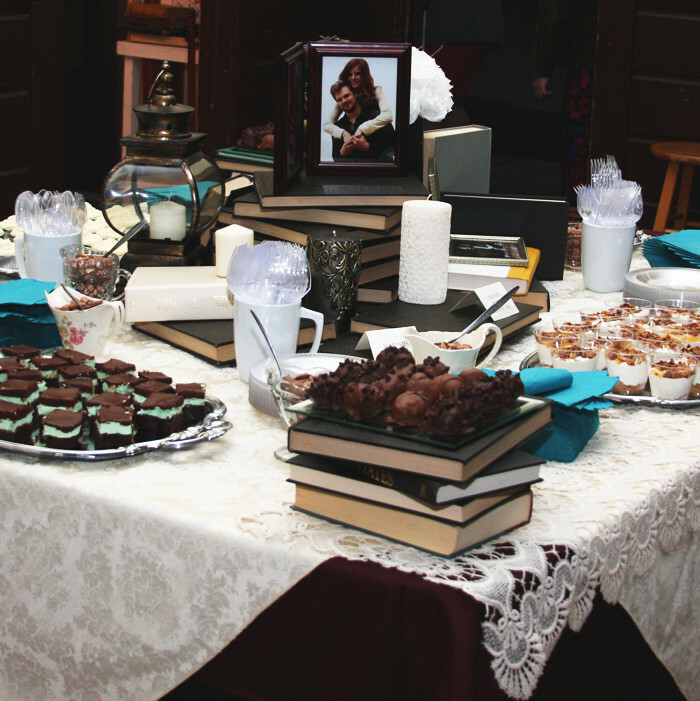 Our reception table featured a well stacked pile of books in the center of a square table. As guests walked around they could see pictures of my husband and me featured in vintage frames, oil lamps, lanterns, and delicious desserts on silver platters. We made the idea fit into our theme. Pinterest can really be a lot of fun to set off your imagination. Let the true heart of your relationship and personalities come through with the ideas you gather. If you found these tips helpful, please share!